In this 4 week series, you’ll explore the meditation practices (the 4 sublime abidings) of opening the heart as is taught in the Buddhist Tradition: metta (loving kindness), karuna (compassion), mudita (empathetic joy), and upekkha (equanimity). Through each meditation practice, your heart has an opportunity to open to its true essence and the greatest gift you have to give and receive – love. What softens and can be left behind is resentment, anger, jealousy, pity, and fear – experiencing a true sense of freedom! This class focuses on connecting within and connecting with others for more peace, joy, and happiness within. This class is helpful for all – wherever you are on your path and is appropriate for all experience levels of meditation. Meditation, dharma talks, and group discussion are a part of each class recording. I attended Angela’s Loving Kindness Meditation Series and after each class, not only did I learn more about my deeper self, but I was inspired to become a kinder, more patient, peaceful person. While that’s easier said than done; it is in the practice part of the journey that will determine the outcome. Practicing daily meditations and mantras will only bring peace and love to self and hopefully others. Thank you Angela! Before taking the Opening the Heart Meditation class with Angela, I did not realize how much I have apparently denied the validity of my pain for many years. I have been blessed with so much, that I have not allowed my pain to be valid somehow. The simple words: “I care about your pain, be open to the pain with tenderness, be ok with the pain,” allowed me to feel the pain just melt away and let go in my meditation. 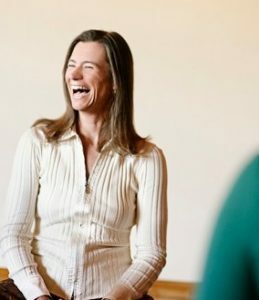 Angela shares 15 years of meditation experience and ten, week-long to month long meditation retreats since 2003, bringing a wealth of wisdom to each class and retreat she offers. Suggested donation: $46 for all 4 classes. To sign up for this incredibly powerful class, make your donation now via paypal below. Once registered, you’ll receive a personal email from Angela to confirm your registration along with the first class teachings and handout. The subsequent 3 classes will be sent one week apart. Ready to get started with meditation right now? 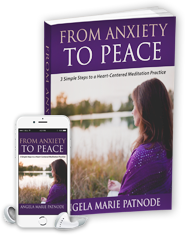 Download my free ebook and guided meditation From Anxiety to Peace: 3 Simple Steps to a Heart Centered Meditation Practice below to start a meditation practice today and tips for working with anxiety. The donation follows the Buddhist tradition of only charging for the space and marketing. Dana (donations for the teachings and the teacher) are accepted beyond the initial suggested donation. Credit card payments include a 3% paypal service fee. For live-stream access, register via paypal above. Once received, a link will be sent to you to access the live-stream page.